FALIM is an investment company formed with the objective of consolidating the diverse investments that comprise the group. Accordingly FALIM operates as a holding company which exists to provide a set of resources that are shared among all the investments across the group. He worked with several companies in the Maldives in the capacity of Financial Analyst/Consultant after receiving his Bachelor of Business Administration degree from the International Islamic University, Malaysia, in 1995. The same year he completed a post graduate Diploma in Advance Financial Management from Madras, India. During the year 2000 he has also completed the Certified Accounting Technicians (CAT) qualification from the Association of Certified Chartered Accountants – ACCA – UK. Afsal began his career at FALIM Group in 2001 and prior to that he worked at Majeediyya School where he was able to make a significant impact on streaming the activities of the Budgetary, HR and IT sections. In 2001 when he joined the FALIM Group, he was initially assigned to the Audit Section of the ICS Maldives Private Limited, then known as the Insight Consultancy Services (ICS). Later on, Afsal was transferred to ICON Investments Private Limited, which is another subsidiary of FALIM Group, as a full-time coordinator at ICON Service Centre. During his time at ICON Service Centre, he was able to transform ICON Service Centre into one of the most technically competent, reliable and efficient computer service centers in the Maldives. On his successful completion of the Certified Accounting Technician (CAT) Course of the Association of Chartered Certified Accountants of UK, Afsal was promoted to a more challenging post as the Manager, Procurement and Cost Control at ICON Computers. Afsal at the helm of Procurement and Cost Control function of ICON Computers, the company was able to grow exponentially over a short period, by forging partnerships with multinational internationally recognized IT partners such as the Ingram Micro, HP and Microsoft. Within a period of just little over 1 year, ICON Computers became the No. 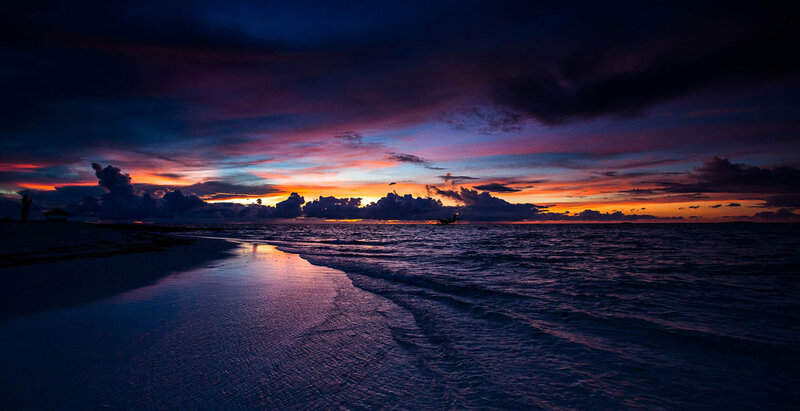 1 IT Company in the Maldives. Soon afterward in 2007 Afsal became the Assistant General Manager of ICON Computers, which was followed by another promotion in 2008, in which he took on the role of the Deputy General Manager of ICON Computers. Some of the other highlights of his career include works done during ICON IT Fairs and ICON World Record. He was also responsible for a number of major deals closed by ICON Computers for the tourism as well as the public sector. Afsal now works at FALIM Group as the Deputy Financial Controller and the third person in the organization’s hierarchy from the top. Mohamed Ameen is currently serving as the Senior Accountant at FALIM Group Private Limited. He is also the 2nd in-charge of the Finance Department of FALIM Group and is responsible for the Accounting functions of FALIM and all of its subsidiary Companies. As the Senior Accountant, he carries out several important and critical tasks on a daily basis, which to name a few include Accounting, Internal and External Auditing and Taxation. Ameen joined FALIM Group in October 2010 as an Accounts Assistant and was promoted to the post of Accountant in 2011. After serving as an Accountant for 3 years, he was later promoted to Senior Accountant in 2014 due to excellence in work ethics, high performance and unwavering dedication to the Company. Since 2016 January, Ameen is qualified at ACCA Skill Level 2 and has recently graduated from Oxford Brookes University’s BSc (Hons) in Applied Accounting. Aminath Adam started her career in the field of Office Administration as a Civil Servant at the Ministry of Gender and Family in 2008. Since then she has had the privilege of working with various institutions in both the public and private sectors. After serving at the Ministry to Health and Family in 2009, she devoted herself to work in the private sector knowing the obstacles and barriers she would have to overcome to achieve success in due course. Aminath holds a Bachelor’s Degree in Business Management from the Australian Institute of Business (AIB). She obtained her Advanced Diploma in Human Resource Management from Association of Business Executives (ABE) of UK. Aminath is now pursuing Masters’ Degree from Australian Institute of Business (AIB). Aminath first joined FALIM Group Private Limited as an HR & Admin Coordinator and she was heading the Corporate Service of FALIM Group and its subsidiaries from October 2012 to 2014. She was later promoted to Head of Executive’s Support in November 2014. Upon the laid foundation of academics and the knowledge, she had acquired through hard work and great determination has placed her at a position of great responsibility at FALIM Group. Ibrahim Nabith Zaki currently serves as the Human Resources & Administration Manager. He is responsible for the HR and Admin functions of FALIM and its subsidiary Companies which has a combined workforce strength of 200+. Nabith joined FALIM Group under the capacity of Assistant HR & Admin Manager in August 2015 after attaining a Dual Honours Bachelor Degree in Business Management & Human Resource Management from the University of Keele in 2014. Prior to this undertaking he has worked in the administration field in multiple private companies; which has proved to be instrumental in dispensing his present duties. Upon completion of his Bachelor’s degree in Commerce from the University of Kerala, India, Mr. Anshad has also obtained a Diploma in Computer Applications, Diploma in Basic Electronics, and a Diploma in Computer Hardware from India. Mr. Anshad is also a Cisco Certified Network Associate and is well exposed to configuring Cisco Routers and Switches. He has worked as a Customer Care Engineer at Accusystems, India, as well as Computer Technician at BITS Pvt. Ltd, Male’. He joined ICON Computers as a Senior Hardware Technician in June, 2005. He has been a part of the best Team at FALIM i.e. ICON Support Center winning the Annual FALIM Best Team Award for consecutive three times. Due to his discipline and the role of leadership he displayed within the Support Center he was appointed the Head of ICON Support Center in the Year 2009. Also he is one of the senior technicians assigned to provide 1st Level Technical Support for the hardware which hosts the Maldives Public Accounting System located at the Ministry of Finance and Treasury. He has been a vital part in every project of ICON either small scale corporate networking and/or large IT turnkey projects due to which he is one of the most experienced technicians at ICON. During his career at ICON with the support of the Management he has been striving to enhance his technical skills further under which he has now completed the Microsoft Certified Professional (MCP) certificate, Accredited Platform Specialist (HP Certified Professional) certificate and CompTIA A+ certificate. End of 2011 November Mr. Anshad has changed his working site to FALIM as a System Administrator and presently he is Managing entire IT infrastructure for FALIM and its subsidiary companies. In his hard work and dedication of work, he received the award “best progressive employee of the year 2012”. Mrs. Laena achieved her Distinction in Master’s Degree in Business Administration (MBA) from the Xavier Institute of Management and Entrepreneurship, Bangalore after completing her Bachelor’s Degree in Commerce (B.com) from the Bangalore University in India. Right after her Masters, she joined ICS in December 2013 as an Assistant Sales and Marketing Manager of FALIM Group looking after the entire Sales and Marketing operations. She was also a visiting lecturer at MAPS College. With the relevant knowledge and expertise on her hand she was then promoted in 2014 to work for ICS Maldives Private Limited as Sales and Marketing Manager, overseeing ICS operations and the Business Consultancy projects of the Company. She is also currently heading the entire Sales and Marketing Department of FALIM group. Laena is a talented, energetic and hardworking individual who is a key member of the ICS and Sales and marketing Team. Aminath Shaahy holds a Master’s in Business Administration (MBA) with Distinction from Cardiff Metropolitan University, UK. She achieved the top score from the MBA graduating batch of 2016. She also obtained First Class Honors in Bachelor of Arts in Business Management from Asia Pacific Institute of Information Technology, Sri Lanka in affiliation with Staffordshire University, UK. Before working for ICS Maldives she worked in MAPS Maldives Pvt Ltd as a Manager, Sales and Marketing. She has also worked in the Arts, Culture and History field. In 2008 to 2011, she worked as a Research Officer at the National Center for Linguistic and Historical Research. From the highlights of previous work, she represented Maldives in the UNESCO Memory of the World Asia Pacific Regional Workshop at South Korea in 2009 to nominate ‘Dhambidhoo Lomaafaanu – Copperplate Manuscript’ in the Memory of the World. In addition to that, she is a focal point of Asia Pacific Regional Centre of the Culture link Network (APRCCN) issues newsletter. Shaahy is now working for ICS Maldives Private Limited as Manager, Sales and Marketing and overseeing the Marketing of FALIM Group of Companies. She is also a Part-time Lecturer at MAPS College. With the acquired knowledge of the business management, culture and traditional information, she is an energetic and enthused individual working in the sales and marketing team. Immediately after her schooling, Mrs. Mariyam Shahuzad joined the Ministry of Tourism as an Accounts Officer Trainee. In 1997 she joined the Maldives Airports Company as an Administrative Assistant and later during the year she joined the Maldivian Air Taxi as a cabin crew where her customer handling skills were groomed. Shahuzad opted for a sharp change in her career by joining Apex Duty Free as a Sales Assistant where she later on was promoted to the post of Sales Supervisor. Upon completion of her contract she joined Lintel Investments at their Airport Duty Free outlet as a Sales Executive and later became Sales Supervisor. She joined ICON Computers in 2005 as a Sales Executive and since then has immensely contributed to the sales of the company. In the light of her sales skills and promising performance she was promoted in 2009 to the post of Head of Sales and Customer Support. In the year 2016 she was promoted to the post of Head of Sales due to her remarkable role in the sales of the Insight Consultancy Services (ICS), managed by FALIM Group. By late 2009, Nasir had become a Cisco Certified Network Associate (CCNA), and started offering freelance IT Services to numerous clients. My services featured Web / Graphic Designing as well as some Business Automation services. In 2013, he Joined ICS as a Support Technician. While working at ICS, Nasir completed the necessary training to become certified in QuickBooks, and Retail Pro V8 & V9. The following year, Nasir was promoted to the Head of Technical Support, which was soon followed by another promotion in early 2015, to the post of Assistant Manager, Technical Support of ICS. At present, Nasir is also training to become an ACCA-Certified Accounting Technician (CAT) at MAPS College. Mr. Abdul Azeez became Deputy Rector of MAPS College in April 2015. He began his career in MAPS College as a Vice Rector after graduating with a Master’s Degree from the University of Melbourne, Australia in 2011. Prior to his appointment as Deputy, he was the Manager, Administration of MAPS Institute from September 2007 to December 2008. In January 2009, he was made the Deputy General Manager of MAPS Institute. Mr. Azeez attended Secondary School(English Preparatory and Secondary School) from 1992 to 1995 where he obtained the GCE O’ Level Certificate and proceeded to Higher Secondary School ( Science Education Centre) from 1996 to 1998 and obtained the GCE A’ Level Certificate. He graduated with Bachelor of Science in University of Mysore, India in 2007. He was awarded Diploma in Educational Management in National Council of Educational Research and Training, New Delhi, India in 2003. Mr. Azeez started his working career in September 1998 as a Training Headmaster at Ministry Education. In February 2003, he was employed as a Headmaster at Ministry of Education, Maldives. He is deeply committed to serve the educational sector of the Maldives through his experiences and knowledge that he has gained from his educational experiences. He firmly believes that schooling or learning in any educational centre has to have more meaning than preparing them for examinations. Mr. Azeez envisages teaching thinking skills in schools, implementing thinking approach in teaching process would bring positive impact on students learning as well as its benefit would not only be placed within the school box (e.g. improving learning, enhancing their exam results, understanding the concepts clearly), but outside in their living space(e.g. problem solving, making good judgments). Ms. Fathimath Rasheed serves as the Vice Rector for Academic Affairs at MAPS College. As Vice Rector, she focuses on ensuring the programs and courses conducted at MAPS College meet the highest standards. In addition to her role as Vice Rector for Academic Affairs, she is also a member of the College Academic Board and College Council. Fathimath first joined MAPS College as a Senior Lecturer in May 2012. In September 2012, she was promoted to the position of Dean of Students. She headed the Student Services Department and worked closely with program coordinators and lectures to ensure the students at MAPS College were provided the best services. Though relatively new to the field of education, Fathimath is a passionate advocate for quality education and high academic standards. She expects the highest standards from the teaching faculty and from the students. She is an innovative leader, and places emphasis on motivation as a driver for success and achievement. Fathimath holds a Master’s degree in Economics from University Malaya, Malaysia. Her Master’s thesis, which focused on technological intensity in manufacturing, was published in international journals. She obtained her Bachelor’s Degree in Management from Bangalore University, India, where she was among the top three scorers from her batch. She also has years of experience in foreign relations field, having served as an Assistant Director at the Ministry of Foreign Affairs prior to joining MAPS College. Matthew joined MAPS College in 2014 and is currently the Deputy Vice Rector for Quality and Development. Matthew oversees the quality management of MAPS College, as well as work on developing and reviewing College courses. He is also a member of the MAPS College Academic Board, and lectures on Research Methods. Prior to joining MAPS College, Matthew worked in the UK as Head of Development at the UK’s National Business Skills Council, Skills CFA. Previous job roles include various research and policy roles in the education and public sector in the UK. Matthew holds a Master of Arts (By Research) in Economics from the University of Brunei, and a BSc in Economics from the University of Bath. Dr. Aishath Shehenaz Adam, former Ambassador and Executive Director of Ministry of Education, joined MAPS College in August 2016 as the Deputy Vice Rector for Postgraduate Studies and Research. Dr. Shehenaz graduated from University of Newcastle, Australia with a Bachelor’s degree in Mathematics and Education; with an M.Phil in Mathematics Education from University of Waikato, New Zealand and obtained a PhD in Mathematics Education in 2004 from University of Auckland, New Zealand, followed by a Postdoctoral Research fellowship from University of Alaska, Fairbanks in 2005. Dr. Shehenaz worked at the Ministry of Foreign Affairs from 2009 to 2015 in different capacities as High Commissioner to Pakistan, Ambassador to United Arab Emirates and as an Additional Secretary. Before joining the Ministry of Foreign Affairs, Dr. Shehenaz worked in the Maldives education sector in different capacities as a Mathematics Teacher, Assistant Principal, and as the Executive Director of Ministry of Education responsible for the educational supervision and quality improvement of schools. She was also the UNESCO Education for All (EFA) programme National Coordinator, Chairperson for Villa Foundation Scholarship Board and Advisory Board of Live and Learn. In addition, Dr. Shehenaz has undertaken a range of research projects in the Maldives and internationally and has presented and published various papers and books focusing on Mathematics and Education. Mr. Asim Abdul Sattar was appointed as the Principal of MAPS International High on 14th January 2015. He is highly experienced and resourceful in the field of education and he has over 18 years of experience in public service. Mr. Asim obtained Master of Education from Edith Cowan University, Australia in 2004. After completing his Postgraduate studies, he worked at Faculty of Education of The Maldives National University for over seven years. During that period, he served as the Dean of the faculty for over four years. Mr. Asim’s special contribution to the faculty includes developing and starting new programs especially in the field of Special Needs Education, Early Childhood Education and Environment Management. He also took special interest in revising Primary Teaching and Practicum and School Experience curriculum. In order to meet the needs and challenges of teacher training, he took initiatives to change and diversify the mode of delivery. Mr. Asim was a council member of The Maldives National University. He actively participated in formulation of new regulations and policies as a council member when the university was established in 2011. He was also a member of the steering committee of new school curriculum framework. Mr. Asim worked in seven different schools in atolls and Male’. He graduated with Bachelor of Education from The University of the South Pacific in 1999. He also completed Advanced Certificate in Teacher Education and School Management from Regional Institute of Education, Bhopal, India in 1995. Mr. Asim also worked as the Secretary General of the Elections of The Maldives. He played a key role in managing and administering Presidential Election 2013, Local Councils Election 2014 and Parliamentary Election 2014. Mr. Asim strongly believes that schooling and learning should focus more on dealing with real life and uncertain future challenges. He also advocates learning and assessing tasks should be more meaningful, useful and purposeful. Hussain Rafeeu obtained his Master’s Degree in Education from the Griffith University in Australia after completing his Bachelor of Education with specialization in applied mathematics from the University of KwaZulu-Natal in South Africa. Hussain Rafeeu is a highly qualified, experienced and dedicated teacher with an outgoing and friendly character. He started his career as a qualified teacher in Maavashu School, taking the immense responsibility of teaching grade 10, 11 and 12, Mathematics. Apart from being an enthusiastic and dedicated educator, he had also contributed his leadership skills by serving the school as an Acting Leading Teacher, as well as a Head of Mathematics Department. Besides being a tutor, his other professional experiences include participation in Australia Awards Leadership Program, Participation in ALA conference held in Canberra, Australia and Attending ACFID conference held in Sydney, Australia. Hussain Rafeeu joined MAPS International High as a Leading Teacher in 2014, in the hope to take the results of the school to new heights with his expertise and dedication. Abdul Aleem Hassan, with over two years of experience in teaching has excellent knowledge and understanding of the concepts and applications of business studies. While he was taking his business degree in marketing and management from Maldives National University, he joined MAPS International High as full-time business studies teacher on 21st April 2014. As a business studies teacher, with his dedication and commitment, Mr. Aleem contributed to the development of the school by coordinating and taking initiative to solve problems and challenges of school. He actively took initiative to develop new measures to assess student performance and discipline in the school and reward students who perform well both academically and in discipline. After successful completion of bachelor’s degree, as a part-time lecturer he started contributing to MAPS College by lecturing in various modules for both associate’s degree and foundations level including; Business Environment, Business Decision Making, Business Communication, Marketing Intelligence, Marketing Principles, Business Strategy and Organizational Behaviour. Due to his hard work and commitment, Mr. Aleem was promoted as a Leading Teacher of MAPS International High School on 1st January 2017. With new roles and responsibilities, he continued to serve the organization to achieve greater performance targets. Currently, Mr. Aleem is pursuing his masters education from Maldives National University to obtain Masters of Business Administration (MBA). During his career, he won several awards including A’Level National Top Ten Award from Ministry of Education (2011), Edexcel High Achiever Award for obtaining 3 A* in A’Level (2011), Best in Subject Award (Islam) from Ministry of Education (2011 A’Level), Shaheedh Ahmed Labeeb Award from Maldives National University (2012) and First Place from Bachelor of Business course from Maldives National University (2015). Mr. Aleem believes in hard working and dedication to achieve goals, while maintaining good disciplines and strong values to develop oneself. 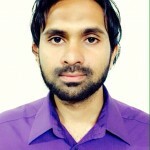 Hussain Shifadh is a highly professional and energetic personality, who has shown dedicated in educating young minds, with 5 years’ experience in education sector. He began his teaching career as a temporary teacher at A.Dh. Hangnameedhoo School, after completion of ‘O’ level which made him interested in education sector. He did his diploma in Teaching Secondary (Mathematics). After the successful completion of his teacher training, he resumed teaching at A.Dh. Hangnaameedhoo School as a Secondary Mathematics teacher handling the responsibility of teacher Grade 8, 9 and 10 students. After completing 4 years of dedicated service to the school, he moved on and completed his Bachelors of Science in Mathematics, Physics and Computer Science in University of Mysore, Mysore, India. After Graduation, he joined Mass Technologies Pvt. Ltd, as a Senior Technician and started attending MAPS International High School as a Part time Mathematics teacher. He joined MAPS International High School as a Full time teacher to teach Applied ICT and Mathematics for Grade 11 students. He was then promoted to a Leading Teacher at the beginning of the year 2015. Mohamed Imthiyaz is a highly professional and energetic personality, who has shown dedication in educating young minds, with 5 years’ experience in education sector. He began his teaching career as a temporary teacher at V.Atoll School, after completion of ‘O’ level which made him interested in education sector. He did his Advanced Teaching Secondary (Mathematics and Physics). After the successful completion of his teacher training, he resumed teaching at V.Atoll School as a Secondary Mathematics teacher handling the responsibility of teacher Grade 8, 9 and 10 students. After completing 5 years of dedicated service to the school, he moved on and completed his Bachelors of Science in Mathematics, Physics and Computer Science in University of Mysore, Mysore, India. After Graduation, he joined Imaduddin School and continued teaching Mathematics to Secondary grades. He joined MAPS International High School as Leading Teacher handling Disciplinary Issues and Extra Curricular Activities in particular and teaching Applied ICT to Grade 11 as well. Raziyya Hussain is the Administrator of the MAPS International High. She is a very experienced, loyal and highly organized person with a positive attitude to work. Raziyya began her career as a Secondary Mathematics Teacher at Hanimaadhoo School for two years after completing her Diploma of Teaching Secondary and she worked as a Leading Teacher at Hanimaadhoo School for four years before joining MAPS International High. She has also improved her knowledge and skills by participating in training events such as Front Office Operation II and workshops organized by number of institutes such as Career Counseling Workshop and Inclusive Education. At the moment, she is completing her Bachelor of Arts (Dhivehi Language). Raziyya is a key member of the management team at MAPS International High and serves a large team of both academic and administrative staff. 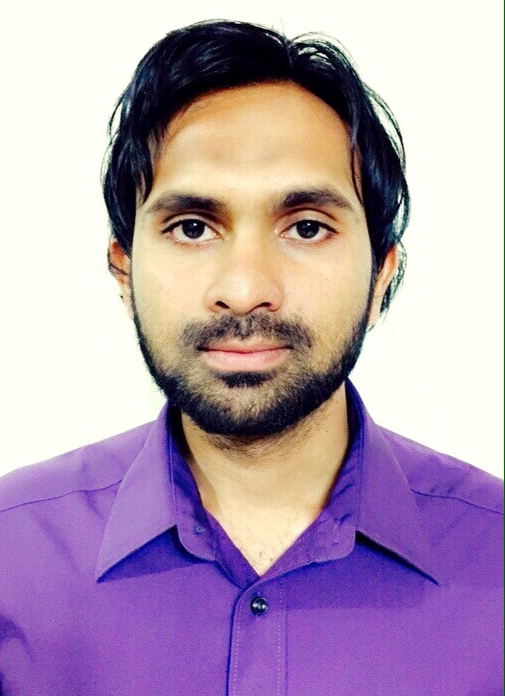 Mr Mohamed Rameel joined HAZA Construction Private Limited as the Operations Manager on June 2014. Prior to joining HAZA, Rameel has over 10 years of experience working in several companies in the Maldives at various different levels starting from Sales Executive to Project Manager. Some of these companies include the View Builders Pvt Ltd, Maldives Structural Product (MSP), Link Serve Pvt Ltd, Media Electrical and Electronic Services Pvt Ltd and Namira Engineering and Trading Pvt Ltd.
As the Operations Manager, Rameel is responsible for overall project planning and scheduling, resource allocation, project accounting, and control, while providing technical direction and ensuring compliance with quality standards. Among other qualifications, Rameel also holds a Diploma in Computer Studies from the American College of Higher Education, Kandy, Sri Lanka and a Diploma in Business Administration from the Clique College, Maldives. After completing ABE Level 4 in Business Management, Hassan Shafaz joined FALIM Group Private Limited in 2011. He first worked in FALIM Group as an Accounts Assistant and in 2012 his designation was changed to the post of Assistant Procurement Executive. He was later promoted to a Senior Assistant Procurement Executive in 2013 and until June 2016 served as the 2nd in-charge of the Procurement Division of FALIM. In June 2016, Shafaz’s employment was transferred to FALIM’s subsidiary company HaZa Construction Private Limited to the post of Deputy Operations Manager due to his efficiency in performance, dependability and excellence in loyalty. As the Deputy Operations Manager of HAZA, he a senior post in the Company and has duties overseeing over 13 project sites and over 130 skilled and unskilled labourers. Jomy began his career in 2006 working as a Site Engineer in reputed company known as the CEMEX Projects Private Lmited, Cochin for a period of 3 years. He moved on to the role of Project In-charge by joining WETZLAR Resorts and Hotels Pvt Ltd, a five-star hotel project, in 2009. Then in 2010 he migrated to the Maldives and worked with the Swift Engineering Pvt Ltd as a Project Engineer for 3 years. Now he is a Quntity Surveyor at HAZA Construction Private Limited, with responsibilities of a Project Engineer and Qunaity Surveyor. Jomy completed his Diploma in Civil Engineering from Konkan Gyanpeeth College of Engineering (KGCE) in 2006. He also completed AutoCAD Level I, II and III from Autodesk Authorized Training Centre, India. Premnath Prakash joined Haza Construction Pvt Ltd on 26th October 2016 under the capacity of Engineer and brings with him more than 5 years of experience in the execution of residential and commercial building projects and infrastructure. His expertise in the Civil Engineering field includes billing, quality control and assurance, planning, execution and Management Information System. He is also adept in AutoCAD and Primavera, which has proven to be an asset in carrying out project management duties. With several impressive achievements throughout his career, some notable projects Premnath had undertaken prior to joining HaZa include serving as a Construction Engineer at Kiru Mandir Auditorium, as Project Engineer in Narayana Hrudhayalaya Hospital, Sankalp Residential Apartments G+14, Central Excise Building; and as a Project Manager in MMG Layout Villa Projects; based in Mysore, India and as a Project Engineer in Concorde International School at Mandya, India. He also worked in Bangalore, India as a Project Engineer at Concorde Cuppertino Villa Project. At present he is the Site-incharge and Senior Engineer for a total of 15 Projects based in Male’, Maldives. As such, he is an integral part of the Operations Department of HaZa. Premnath graduated from Vishweshwaraiah Institute of Technology, Belgaum, Karnataka in India with First Class in Bachelors of Engineering in Construction Technology & Management Degree. Aju Reji Thomas started his professional career by joining Kunnel Engineers & Contractors Pvt Ltd, in India – which is one of the leading construction companies in Cochin in 2013 after graduating from St Joseph’s College of Engineering & Technology with a First Class Honours in B.Tech Civil Engineering. He also completed training in AutoCAD 3D, Staad Pro (Structural Designing Software) and Primavera (Project Management Software). Before joining Kunnel Engineers & Contractors Pvt Ltd Aju was a part of Kochi Metro Rail Project under Delhi Metro Rail Corporation as an Engineering trainee. In the span of working three years with Kunnel Engineers & Contractors Pvt Ltd, he was designated as Project Engineer for two multi-storied building projects such as Jubilee Mission Medical College in Thrissur & Brigade WTC Kakkanad in Cochin. Aju migrated to Maldives in August 2016 for further professional development and has been working in HaZa Construction Pvt Ltd as the Project Coordinator.